Can you confirm these amateur observations of Walterinnesia aegyptia? Distribution: not in Syria fide MARTENS 1997. 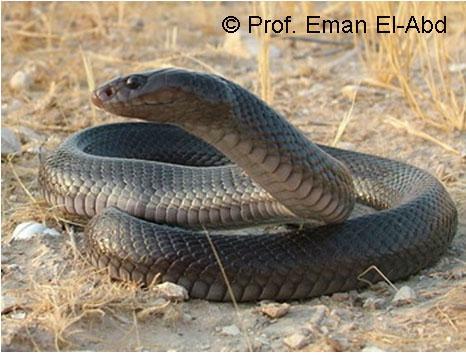 Venom toxins of this species are similar to those of Ophiophagus hannah, implicating a close phylogenetic relationship. Synonymy: Naja morgani MOCQUARD 1905 has been removed from the synonymy of W. aegyptia and revalidated as a valid species, W. morgani. Type species: Walterinnesia aegyptia LATASTE 1887 is the type species of the genus Walterinnesia LATASTE 1887. Gasperetti, J. 1976. Walterinnesia aegyptia Lataste. 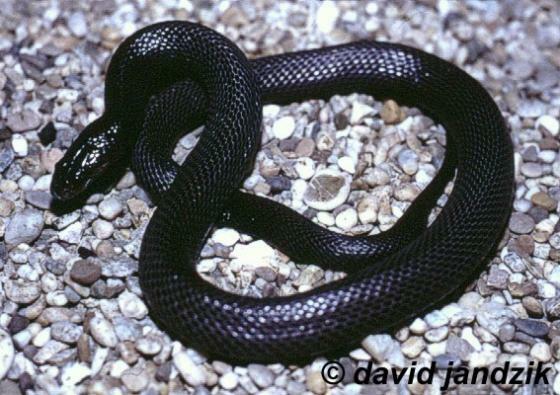 A rare black snake. Saudi Arabian Natur. Hist. Soc., Jiddah, J. no. 16: 2-8. Schmidt, K. E, & INGER, R. F. 1957. Living Reptiles of the World. Doubleday & Co., 287 pp.